With an eye on long-term health, Frieda’s treatments aren’t merely focused on current complaints. Instead, she aims to point out the underlying symptoms that eventually blossom into deficiencies in a patient’s life. By treating the root problem (or problems), more effective and efficient healing can be made possible. 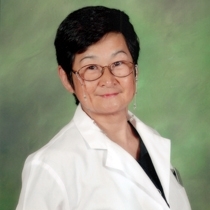 Throughout her career, Frieda has successfully treated patients both in the U.S. and abroad in China through a blend of therapies, including acupuncture, moxibustion, herbs (raw, condensed, formula-based), cupping, tui na and Chinese exercise. Patients, who range from toddlers to those in their 90's, believe (or their parents believe) that their health is a valuable asset and take note of the importance of preventative medicine. Frieda asks patients to eat a light meal before a session in order to prepare the body for self-healing. Clothing should be loose and short. Many patients describe feeling improvement during the session. She encourages clients to speak openly as to any sensations that may be present in the body.